The recently refurbished site called Citadel incorporates the ruins of the Roman-period town of Apulum, the medieval bishopric cathedral with the bishopric, later princely palace, a modern Greek Orthodox cathedral, and the streets and houses of the old town, all surrounded by an 18th-century fortification system Although is one of the top-most tourist attractions of Romania, it is still in the progress of finding appropriate functions for some of its buildings. A focal point in the multi-ethnic history of Transylvania, the re-use, while reflecting the historic path and the demands of tourisms, has to restore the connection with its surroundings, most importantly with the other parts of the city. Although the refurbished Citadel is one of the top-most tourist attractions of Romania, it is still in the progress of finding appropriate functions for some of its buildings. 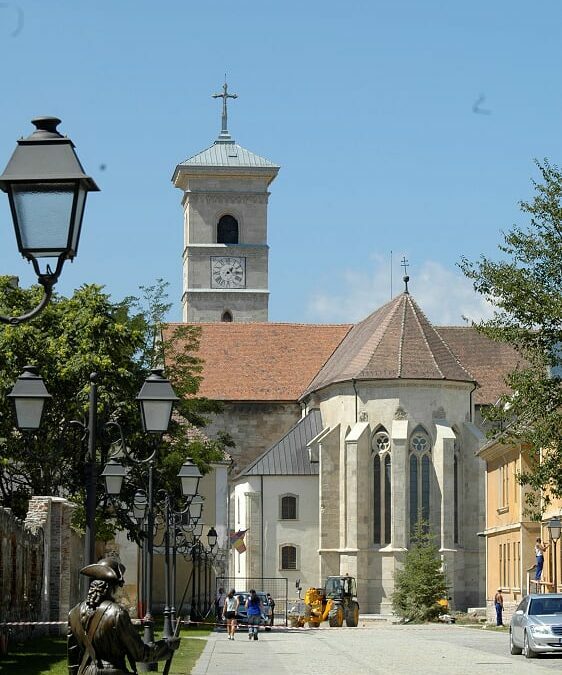 A focal point in the multi-ethnic history of Transylvania, the re-use, while reflecting the historic path and the demands of tourisms, has to restore the connection with its surroundings, most importantly with the other parts of the city.